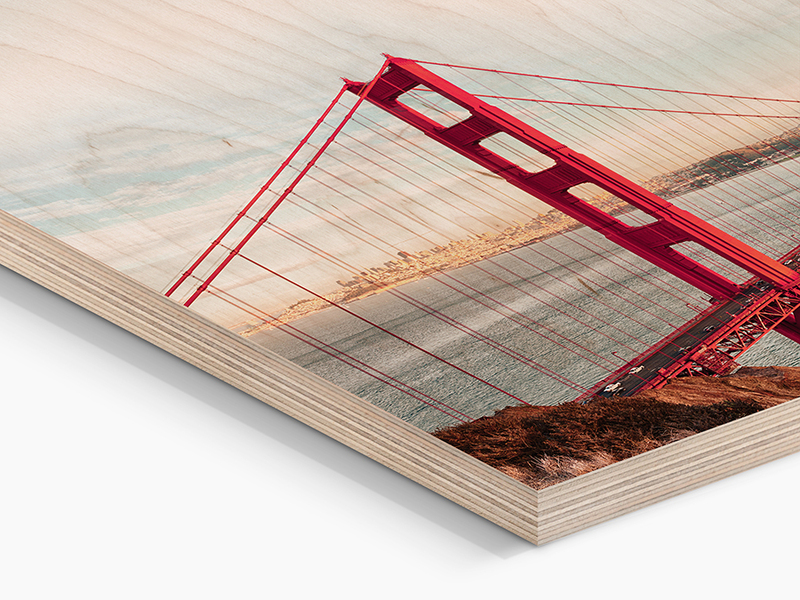 The visible wood grain in our Direct Print On Wood gives your photo a very special look. Images with a lot of bright space will experience this effect more intensely. 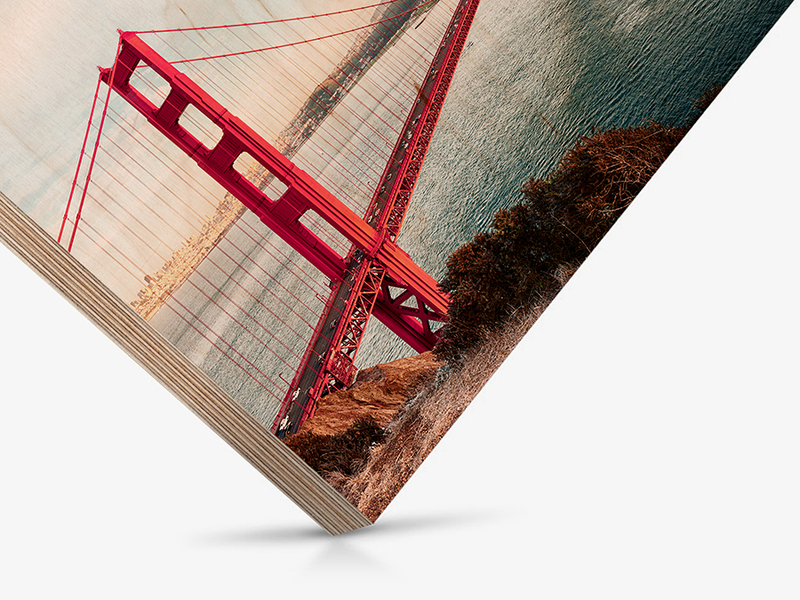 This is because we use a modern 7-color printing process that leaves out the white inks. This way, the wood grain remains clearly visible in the bright parts of your picture. 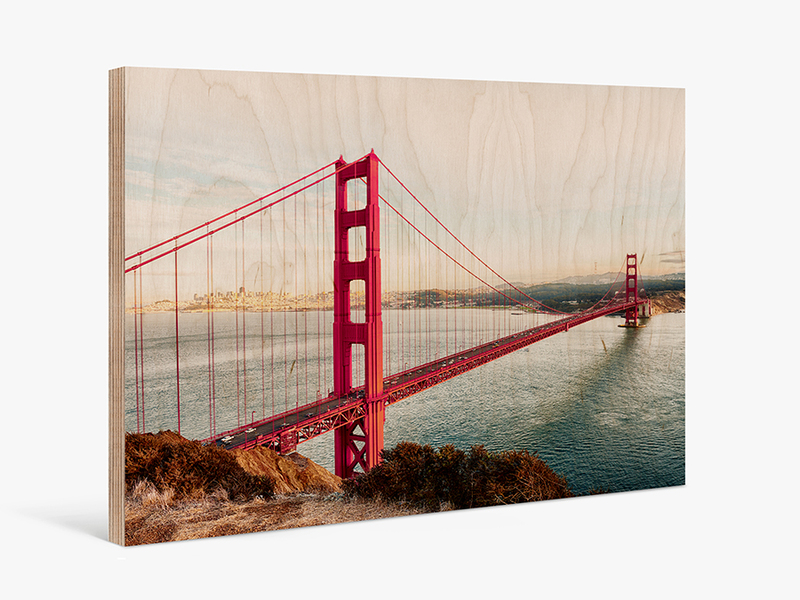 As a gift, our photo print on wood is a winner, thanks to its natural beauty and distinct style characterized by the wood grain. First, consider how intense the visible wood grain should be. Since the grain comes through strongest in bright areas, you will want to pick your image accordingly. 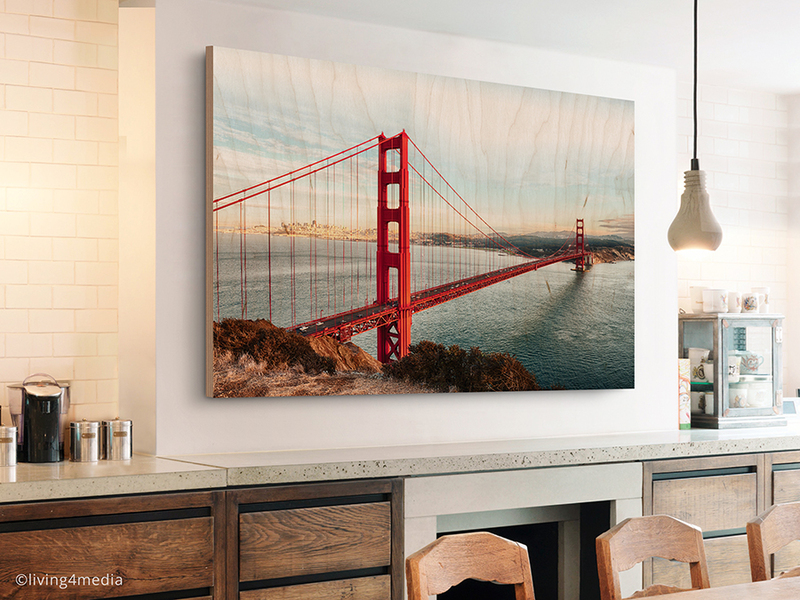 Either way, our photo prints will turn your personal photo gift into a stylish piece of wall decor!